Defense: Known as the First Battle of Bull Run or First Manassas fought in Manassas, Virginia. The Northern public has been pressing for a Union attack on Richmond, Virginia since the fall of Fort Sumter. Unseasoned troops of both the Union and the CSA will now engage in the “first major land battle of the Civil War”. The events that follow will change the public’s mind as to how long and bloody this Civil War war will be. Confederate Commander: General P.G.T. Beauregard, the hero of the Fort Sumter victory has his troops massed in an area by the Bull Run River just northeast of Manassas, Virginia and just miles from Washington D.C. itself. His army is in a strong position should the Federals commence an advance toward the Confederate States capital at Richmond. 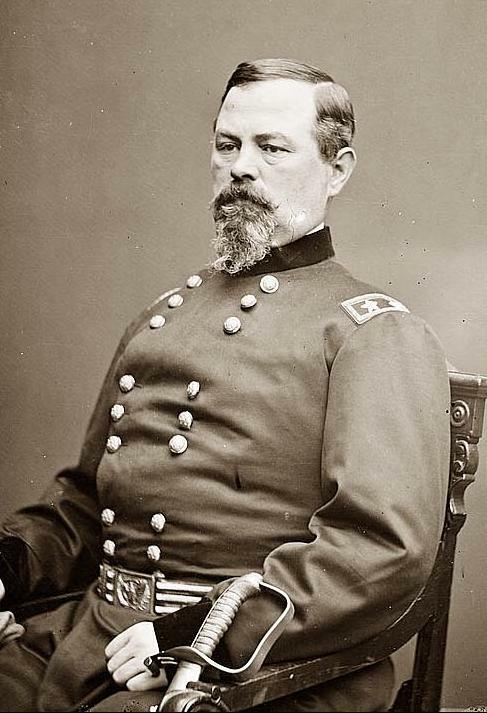 Confederate General Joseph E. Johnston will arrive by railroad from the Shenandoah just as the Union has the advantage and change the outcome of the battle. The railroad will show itself to be critical in the future for delivering men and supplies. Johnston will be one of the foremost Confederate commanders of the war, and one of the last to surrender 4 years later on April 26,1865. 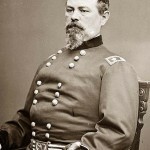 The question remains had Joseph E.Johnston not been replaced by Hood later in July, 1864 and had held held Atlanta longer..the war in the Western Theater might have gone on longer. Attack: The pressure on President Lincoln from the North to attack the Confederates has become too great, as well as the 90 day Union enlistees are about to be released. 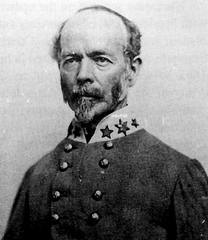 Union commander General Irvin McDowell is ordered to march. Many feel the war will last only a month and this battle could end the war promptly with a Union victory. The Union army advances across Bull Run and attacks the CSA army at Manassas, Virginia on July 21,1861. Few could have guessed the outcome. Union Commander: Brig. 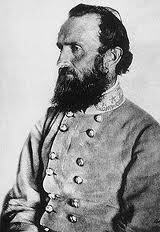 General Irvin McDowell upon reaching Bull Run has a plan for a surprise attack that will roll up the CSA left flank. The Confederate Army initially retreats even with the poorly executed attack from the inexperienced Union officers. 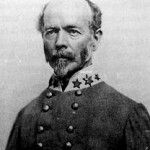 But Confederate reinforcements under General Joseph E. Johnston arrive just in time by train for a counterattack with will drive the Union Army from the field in complete panic. Later dubbed by the newspapers as “The Great Skedaddle” the Union soldiers pour back into Washington D.C. in chaos which lasts in the city for 2 days until Union officers are able to restore order. A relatively unknown Confederate Colonel from VMI Thomas J. Jackson and his men will stand their ground this day so well that other CSA officers nickname him Thomas “Stonewall” Jackson. It is argued that it was due to his failure to advance rather than his defensive posture. However, his daring tactics and fighting skills will be even more evident and costly to the Federals in the future. An extremely talented tactician who will become Robert E.Lee’s right arm. The proud but tragic story of the First Major Battle of the American Civil War. Follow the soldiers and officers as they ride out of Washington to engage the Confederate Army for the first time. They don’t get as far as they planned. Peacetime civilians following them out to watch them whip the rebels are in for an unfortunate and certainly memorable sensory experience. None planned or expected the carnage and bloodshed. Most will come away with a different idea of how far this war just might go, and how many young lives will now be cut short.